But I’ve made good progress elsewhere. The bottom bit has been dug and sifted to just over a spade’s depth and I’ve removed as much horsetail as I could see – not easy given it has black roots! 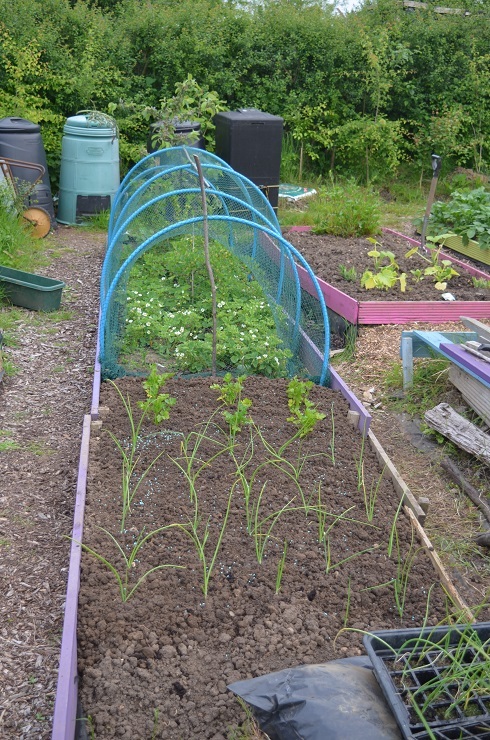 It’s now housing 6 celeriac and 36 onions, with a bit of a bodged border. I’ve given away some spare squashes and realised that I have no Sweet Dumpling, nor Winter Festival (or Kajari melons) and I know at one point I had seedlings. Am resowing this morning – at least it’s not too late. The windsock is already up – a very cheery chilli on a tall stick. 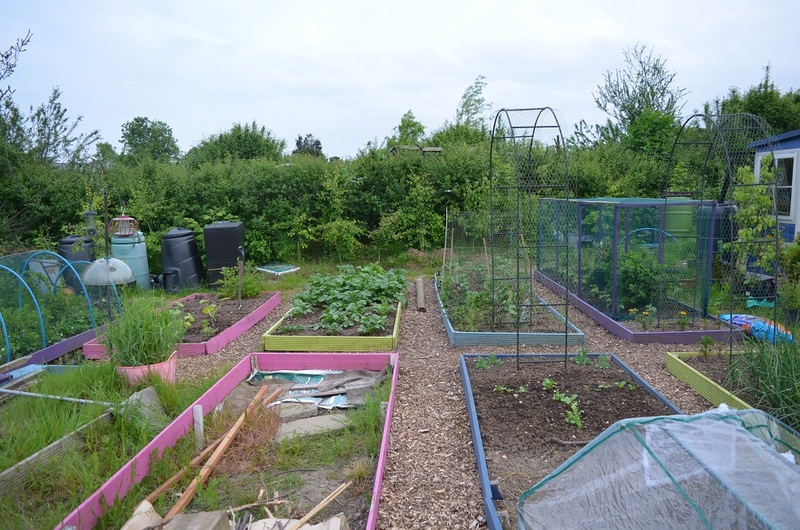 Everything planted last week is still there, nothing’s been munched, though I did notice that all of a sudden some of my dwarf beans in the gooseberries are being attacked. More pellets and I removed all the long grass around that side of the bed. There were 3 lurkers, all now dealt with by my shoe. The beetroot has foot-high flower stalks so far, not a bad effort given the whomping they’ve had from sparrows. 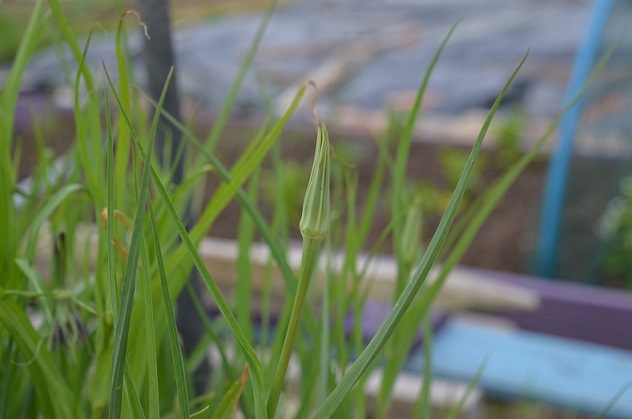 The salsify had one lone flower and it looks like others might open this weekend. It’s the first ever slightly complicated seed-saving and is v exciting! Most of the potatoes are up – it looks like there are 3 that didn’t make it, which I’ve not had before I don’t think. They were in wet soil so perhaps they weren’t strong enough and rotted. The foliage isn’t as high as last year, but the Lady Christls have flower buds appearing. Am hoping there will be some woodchip delivered soon as I’d like to sort out my paths. Both the bays have been empty for a while now. Harvested some broad beans, mint and chives to go with the felafel supper – and this morning I realise quite how much garlic I put in the tzatziki. Ooof!